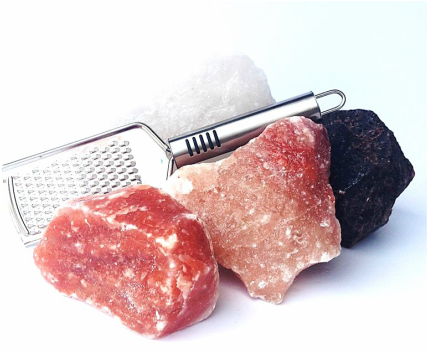 These 5-6 inch over-sized grinding chunks offer healthful salting with sheer entertainment! Buy all three to offer unique salted taste at your dinner party and exceptional conversation! 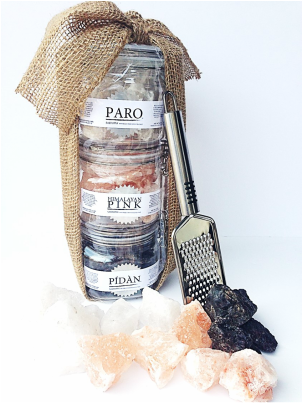 Toss out your salt shakers and serve these beauties on a pedestal as the centerpiece of your dinner table, along with the grater we include for you! We also sell the 1-2 inch grinding chunks in large 16oz mason jars with a zesting tool. These are fantastic for salting pasta & rice water, stocks & broths as well zesting over your foods.